We will be having two socials per quarter in 2019. We will alternate between Hendersonville and Asheville. Check back here and in the newsletter for date and locations. Our first Tea Time Social in 2019 is Thursday, February 28th at the Loft Cafe and Pub in Hendersonville. See below for details. New Schedule for 2019: Tea Time Meetings will be the second Thursday of the month (unless there is a conflict event) at 6PM at IHOP, 229 Airport Road, Arden. Always check your email and our website for cancellations due to inclement weather or other event conflicts. We will post on www.ashevilleteaparty.org site and send a newsletter post. Contact Jane at 828 692 3117 with questions. Please leave a clear message with your name phone number. Thanks. ATPAC to host NCGOP Chair Candidate Forum for WNC on Saturday, June 1st. This is in the planning stages. More info and confirmation of details at Tea Time April 25th at Mills River. Thurs thru Saturday, May 2nd – May 4th: Federation of Republican Women’s Convention in Asheville. Contact Doris Hawkins, President of the HCRWC. https://www.hcrwnc.com/. Friday – Sunday, May 10th-12th: Gun Show. Volunteers? Call Jane 209 986 3845. Raffle winner for $100 Gift Certficate to Fruitful Seasons draw Sunday, May 12th at 3:30. Thursday-Friday, May 16th-18th: Chris Gaubatz coming back. He’ll be here for three days with new topics! 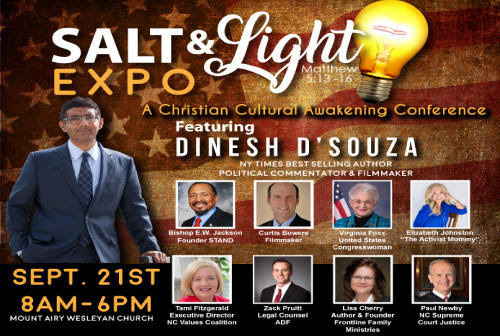 Topics to include Experiences Undercover in the Muslim Brotherhood and Hamas and the Red-Green Axis, exposing the Left working with Jihadis to undermine our nation See here for tickets and flyer. Hurry and get your tickets! Saturday, May 18th: Chris at Transylvania GOP breakfast meeting. 8AM at Hawg Wild BBQ. 91 Pisgah Hwy, Pisgah Forest, NC 28768. $10 at the door, Hawg Wild BBQ. Saturday, June 1st: NCGOP Chair Candidate Forum for WNC. This is in the planning stages. More info at Tea Time April 25th at Mills River. Thursday, May 30th: : Tea Time at Mills River Restaurant at 6PM. Come meet NCHouse 113 Candidate Jake Johnson. 2019 NCGOP Convention will be held June 6 – June 9, 2019 in Concord, NC. We must get Jim Womack and Miriam Chu elected. I wouldn’t ask you to go except for this! Only going one day to vote. Trying to figure out which session is voting. Details to come. Tuesday and Wednesday, June 25th & 26th: Melody Clarke, Mid Atlantic Coordinator, Heritage Action for America coming! join us for one of these sessions! 6PM: Haywood County GOP with Lynda Bennet’s group. I have to get address. Can’t seem to find it on their website. It’s at least an hour from HVL. 7:30AM: Henderson County Republican Men’s Club. 1724 Brevard Rd, Hendersonville, NC 28791. Directions. Directions. Thursday, June 27th: Tea Time at Mills River cancelled because of Melody Clark’s visit. Hope you can join us at one of the venues. Saturday, October 12th 2019: We Read the Constitution at Fletcher Park (Bill Moore Community Park) in Fletcher. 1PM – 3PM. Key note speaker: Congressman Mark Meadows and Mark Keith Robinson who read the Greensboro City Council the riot act on closing the Gun Show there. He is now on the Board of the NRA! Others will be coming too. Stay tuned for updates. Buncombe County Commissioners meets first and third Tuesday of the month. All regular meetings begin at 4:30 p.m. in Commission Chambers, 200 College Street – Suite 326, in downtown Asheville.